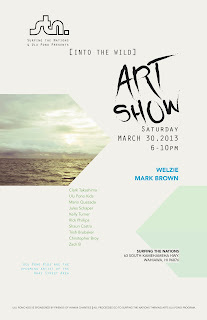 (March 30th) from 6-10 p.m. 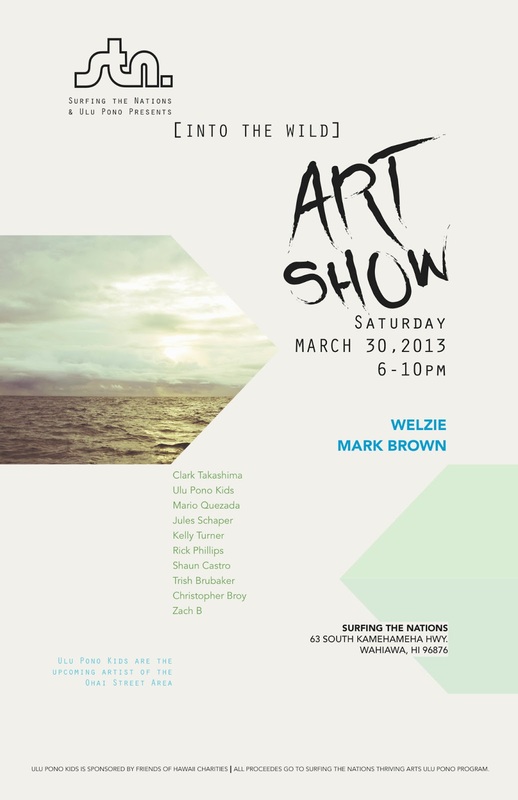 Seven of my surf themed works of art are included. 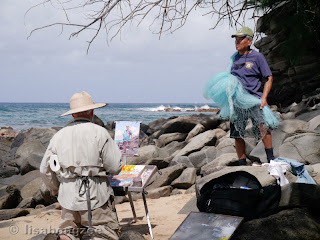 It’s a tough job, but somebody’s gotta do it! 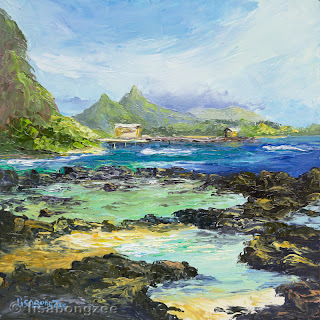 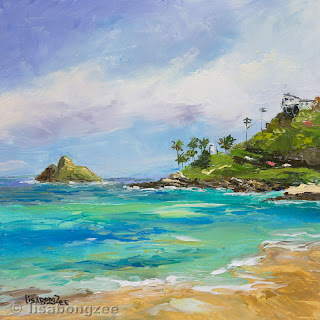 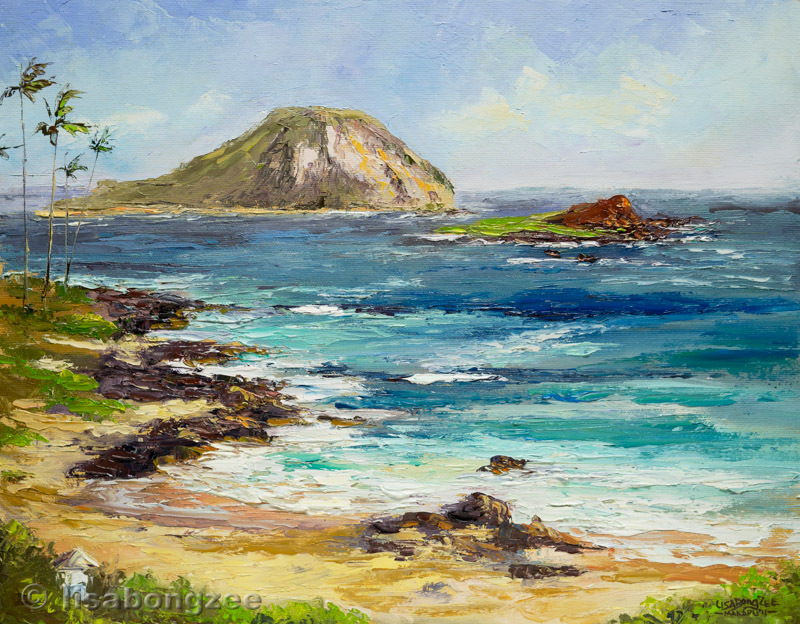 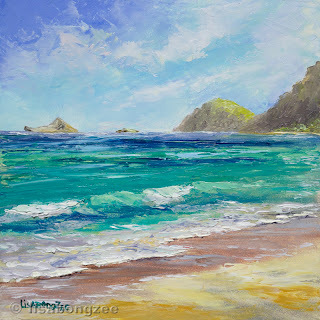 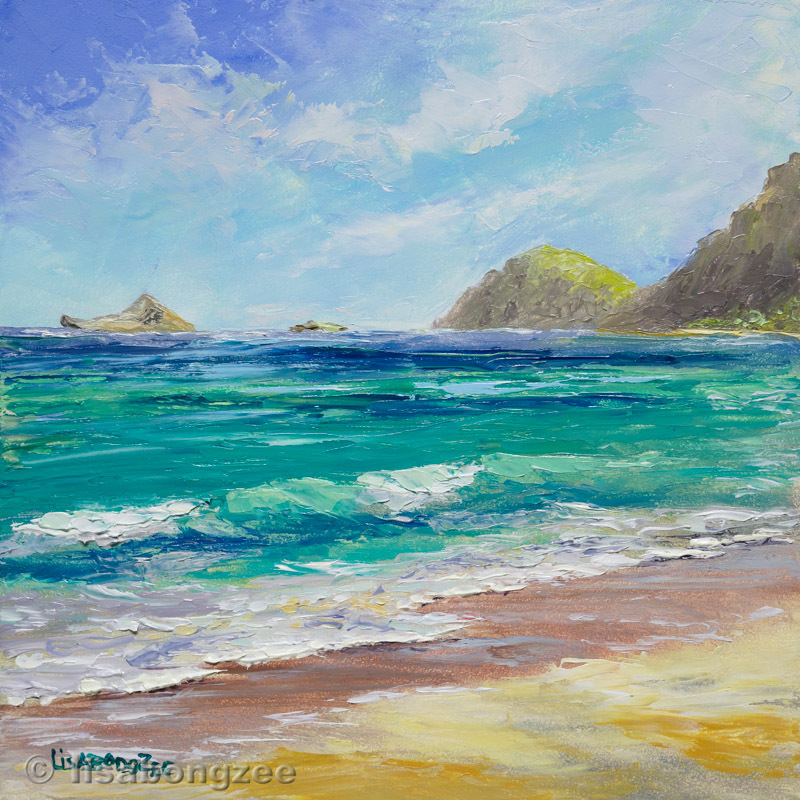 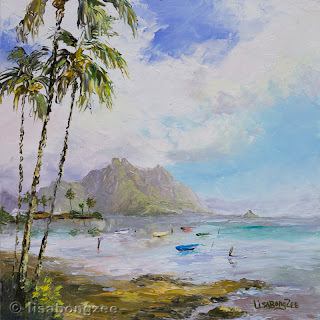 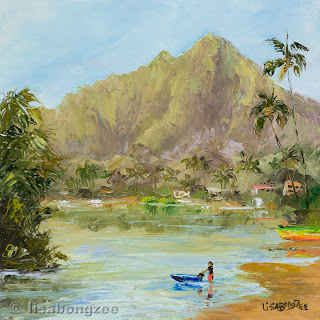 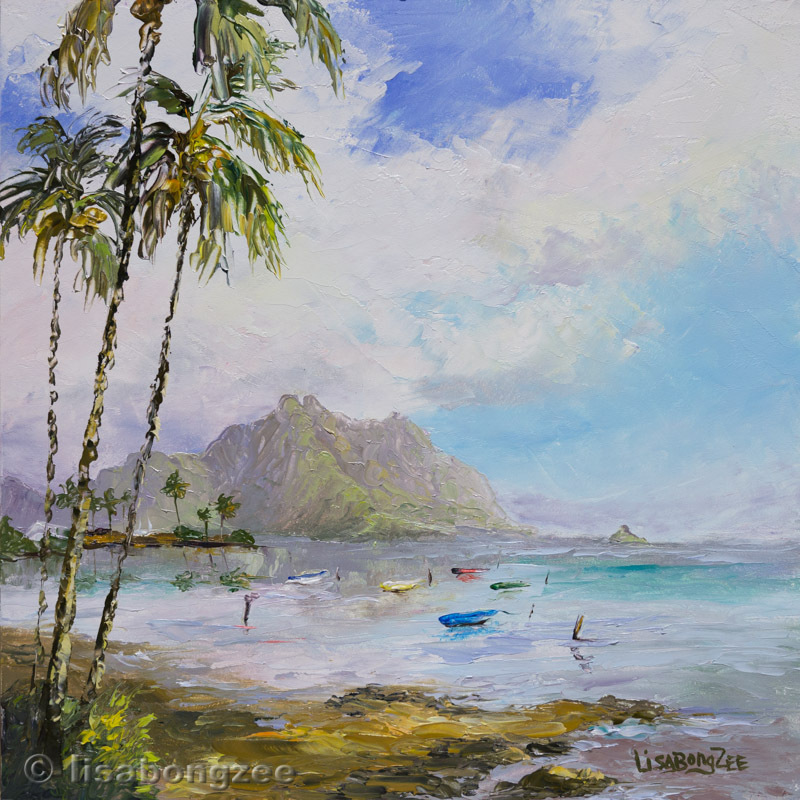 Makapu'u Palette Knife Plein Air 11" x 14"
Here are a few new MINI HAWAII's I've been working on. 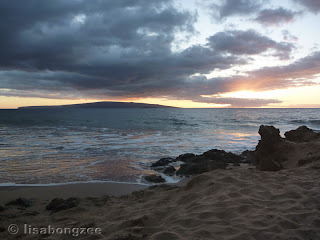 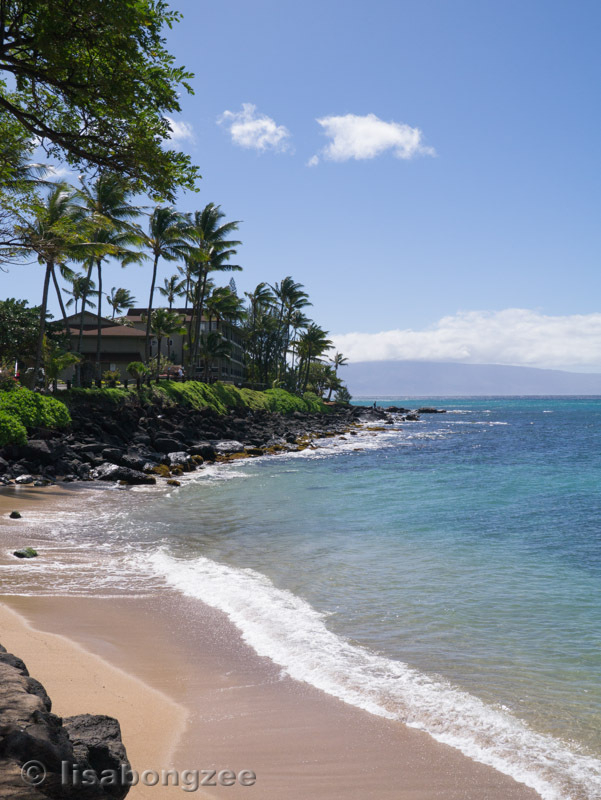 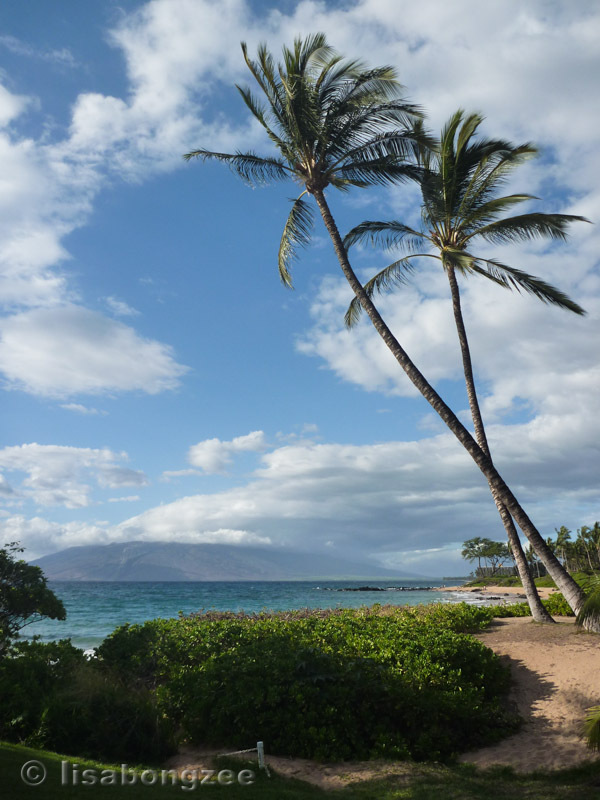 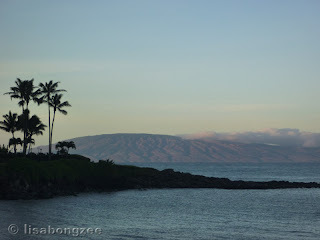 We recently returned from a wonderful two weeks on the beautiful island of Maui. 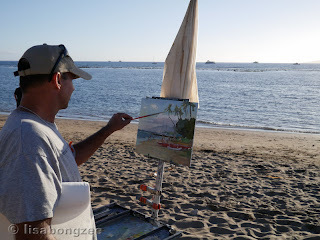 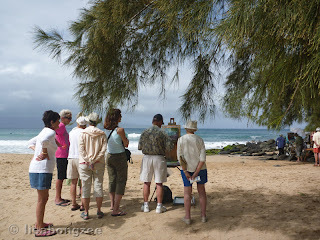 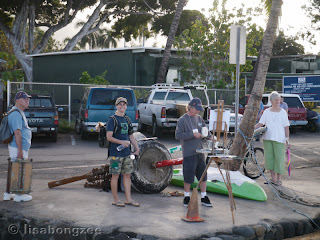 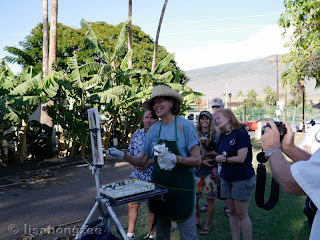 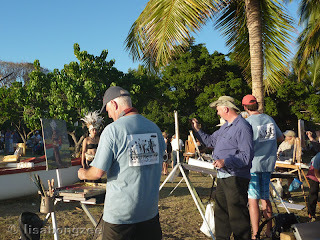 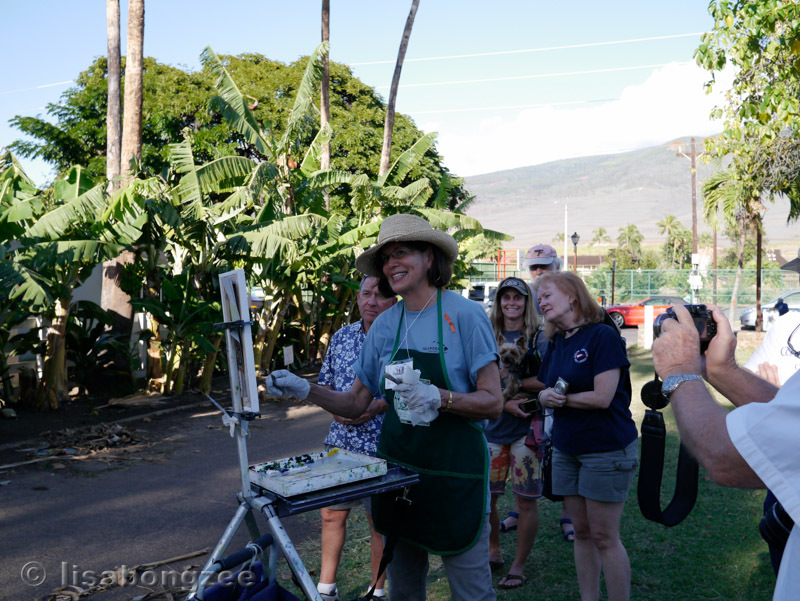 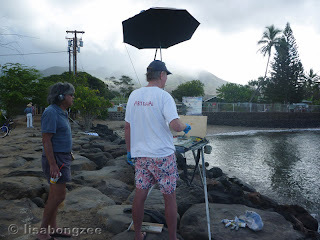 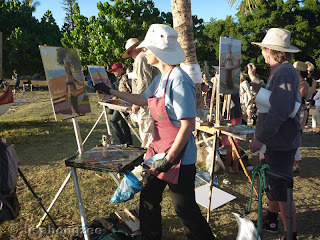 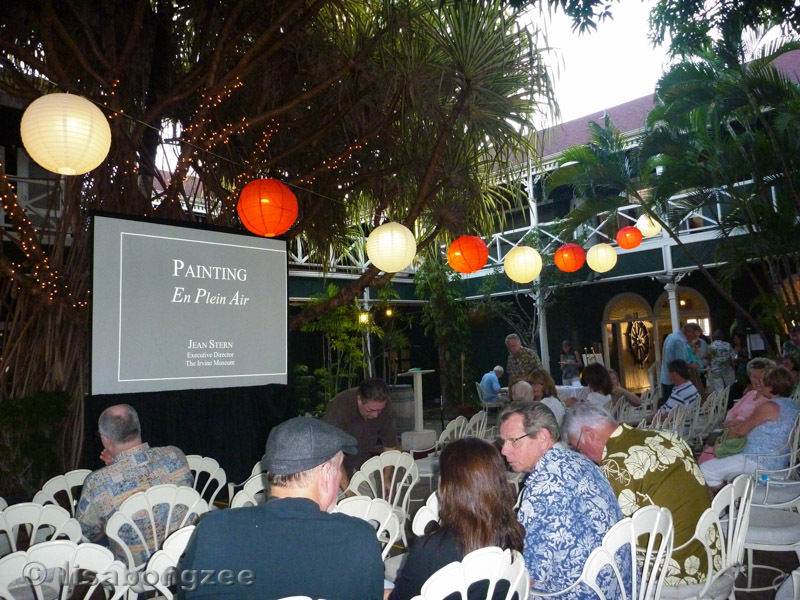 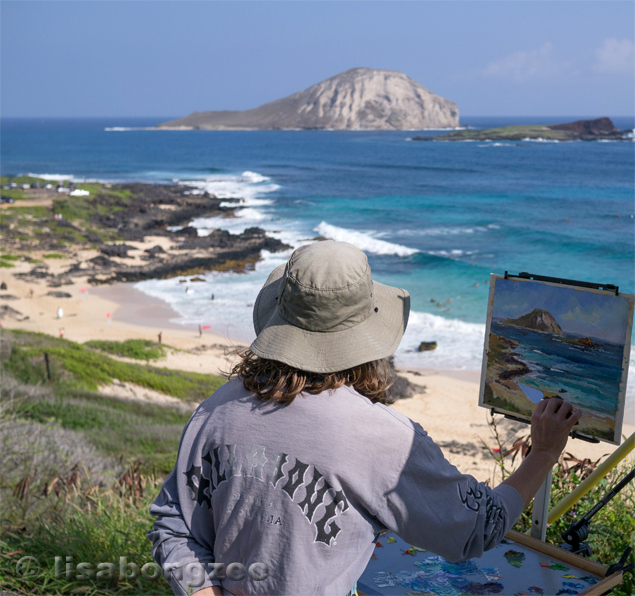 Our main "excuse" for going was to watch 25 premiere artists paint in the "Maui Plein Air Painting Invitational". 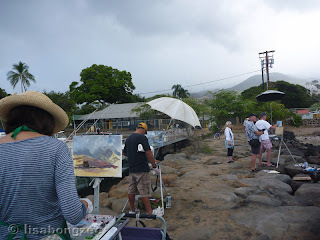 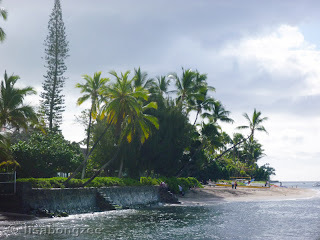 Of course, I did take my paints along and spent almost every day plein air painting the gorgeous scenery of Maui (which I will blog about later), but here are some of the highlights of my non-painting days. With views like this, how could you not be inspired? 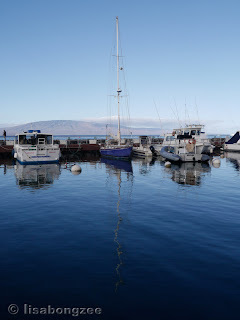 Brighton just hangin' loose, enjoying the gorgeous views of Kaho'olawe and Molokini. 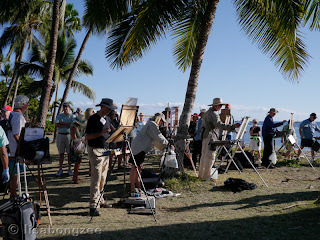 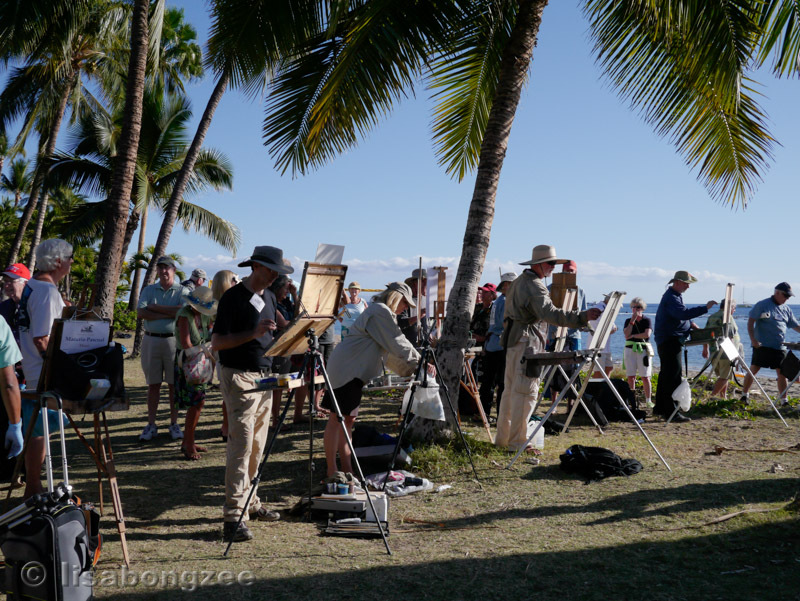 Day One of the Maui Plein Air Invitational. 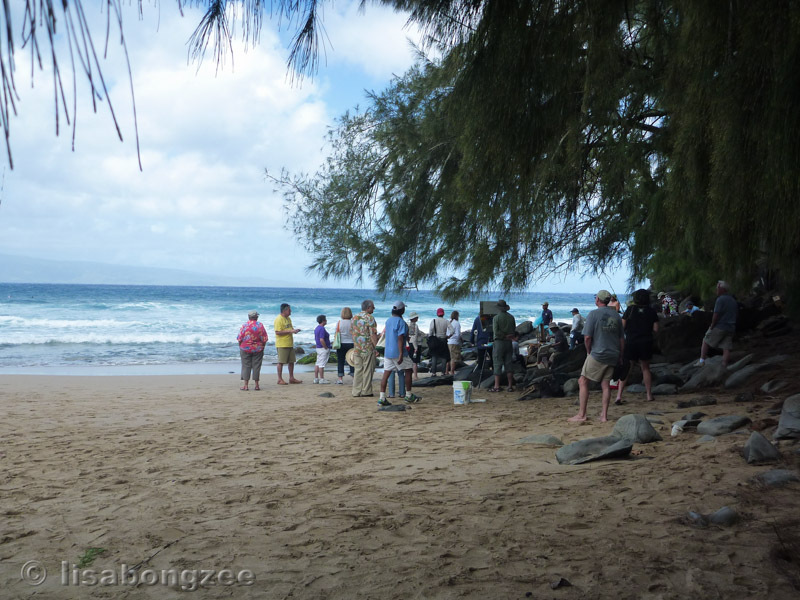 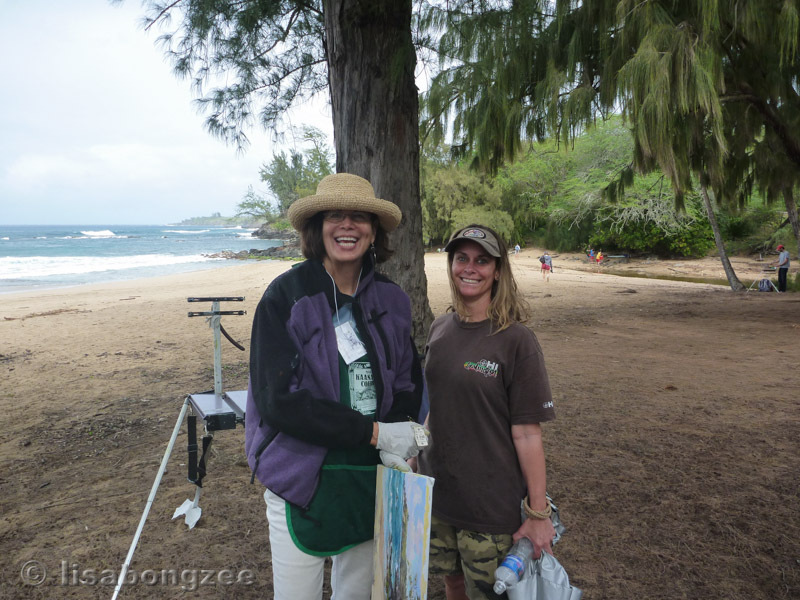 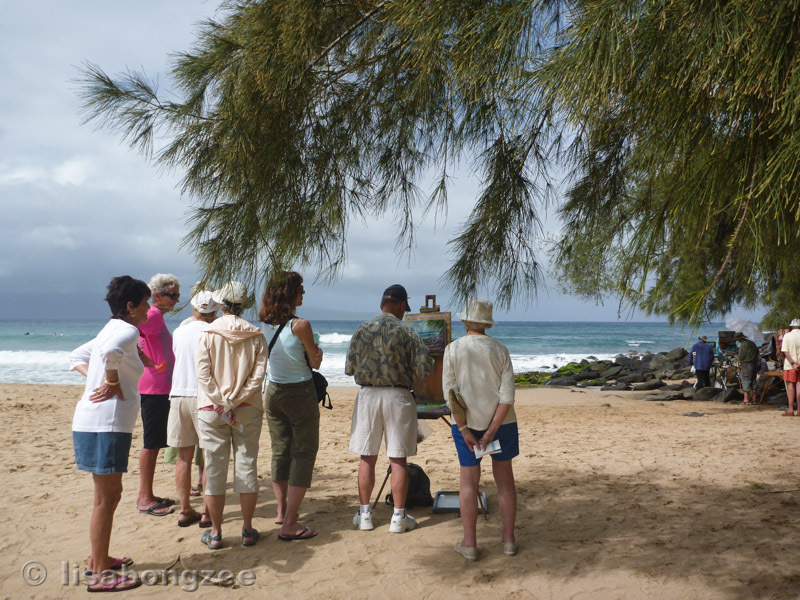 Kick Off Paint Out at Fleming Beach in Kapalua. 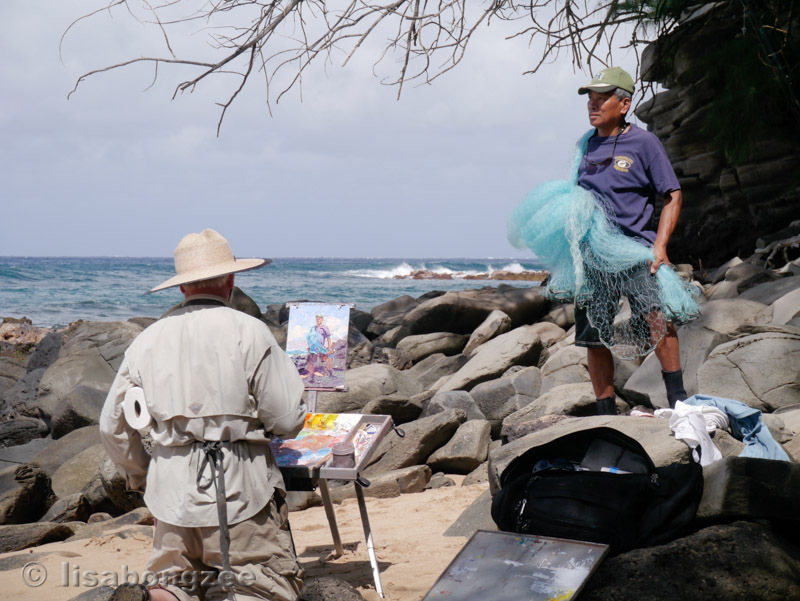 Most artists painted the models that posed on the rocks. 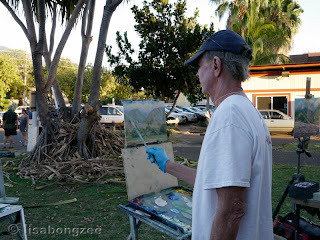 Billyo gets down to work. George Allan attracted quite a crowd with his palette knife painting. Mark Brown's lifeguard shack scene. I finally got to meet Betty Hay Freeland, who is an awesome palette knife artist on Maui. 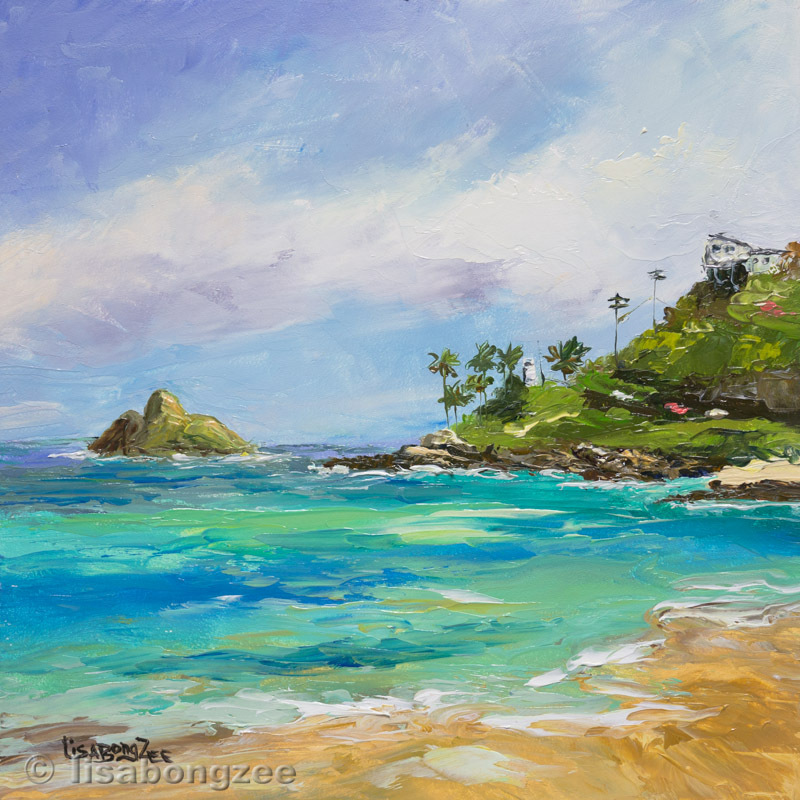 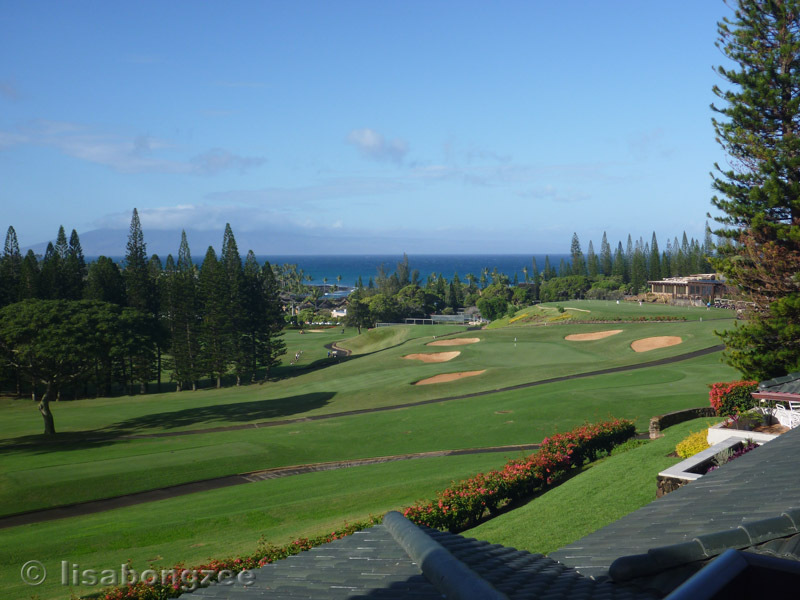 After the Paint Out, all 25 paintings were displayed at the Ritz-Carlton Kapalua Gallery. 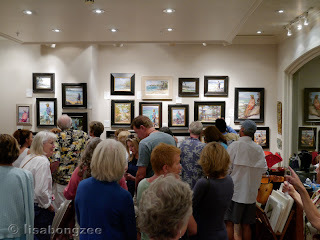 It was so neat to see all the wonderful works that had been created that day. 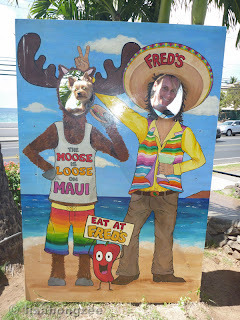 Bry and I did "Eat at Fred's". 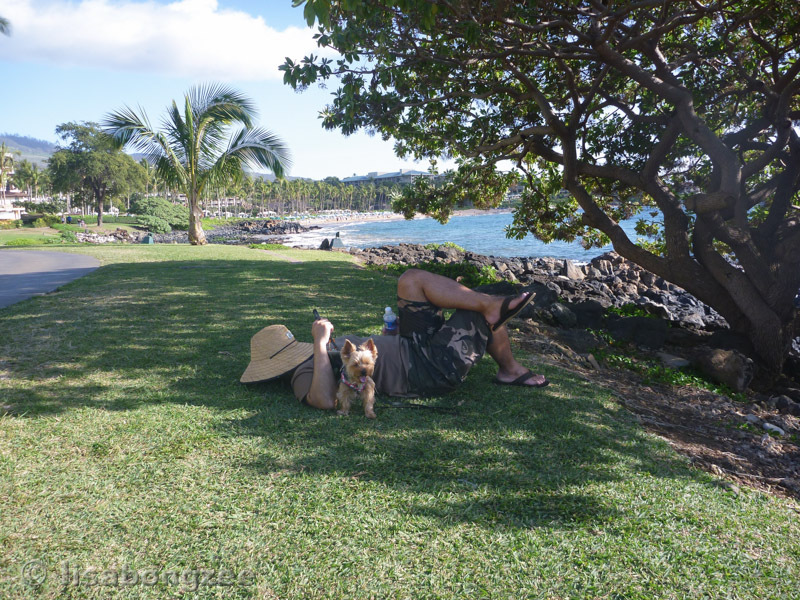 Bry and Dad enjoy the day. 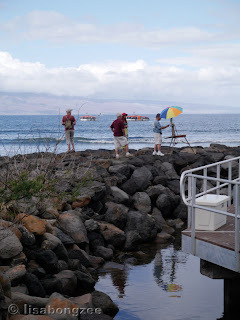 Finding a perfect place to veg is not very difficult on Maui. 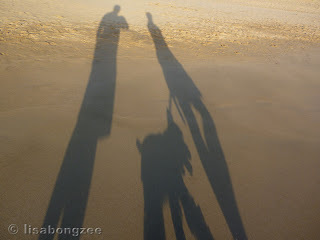 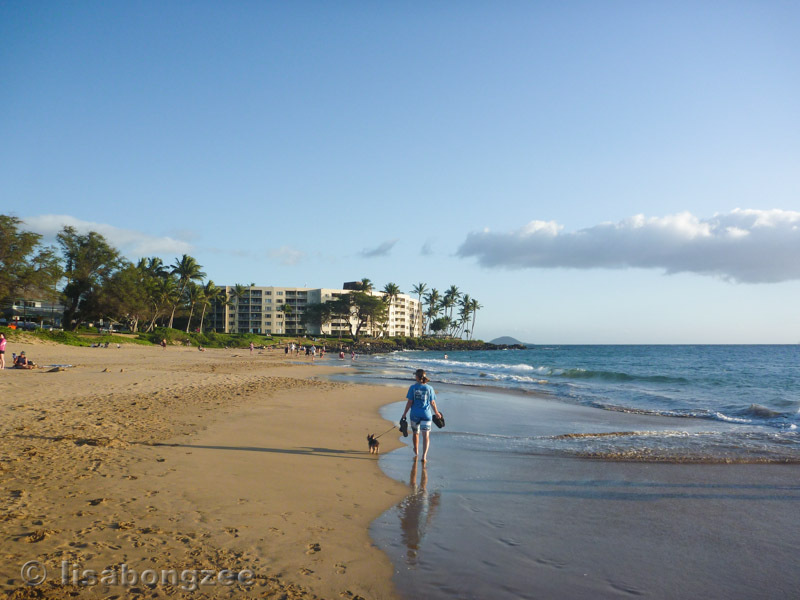 Brighton's favorite thing, walking the Kihei beaches. 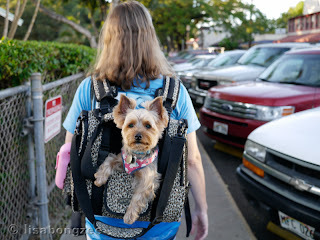 Bry knows how to travel in style. 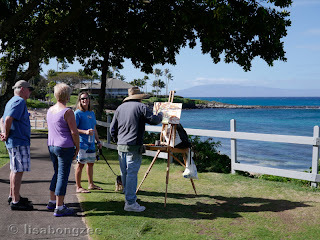 On our way to the "Painting En Plein Air" lecture by Jean Stern, in Lahaina. The lecture was great. Jean Stern is the director of the Irvine Museum in California, and he is a brilliant speaker. 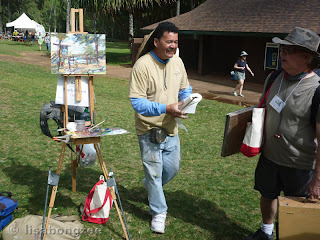 If he had been my Art History teacher, I would have enjoyed it so much more. 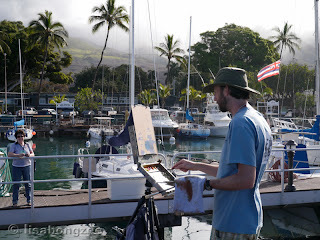 He really made it interesting. 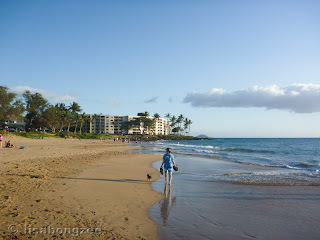 Bry and I taking in the scenery at Kapalua Beach. I painted in this spot the next day. 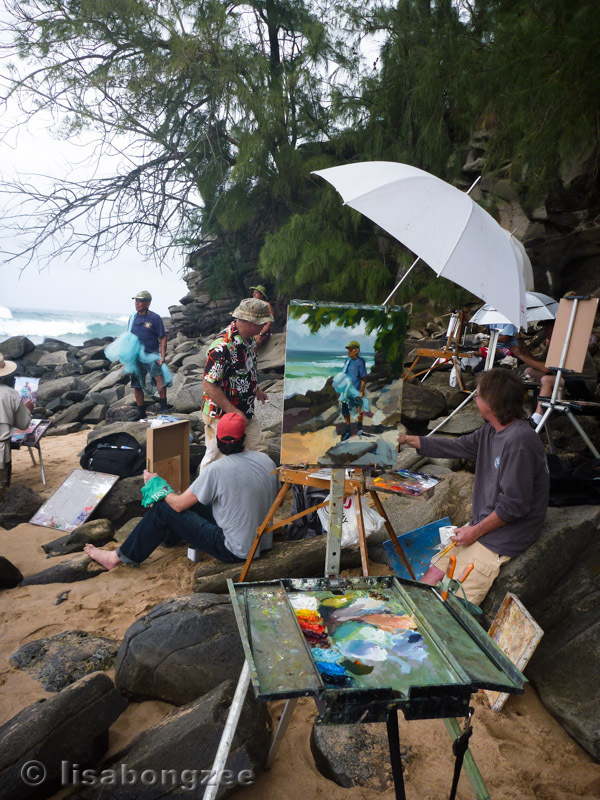 We kept Mark company as he created an awesome scene of Kapalua. 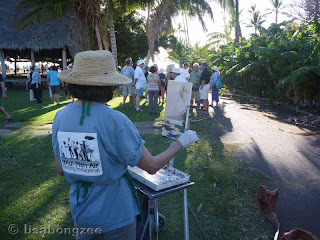 Scenes from the Sunset Paint Out at the Kamehameha ʻIki Park in Lahaina. 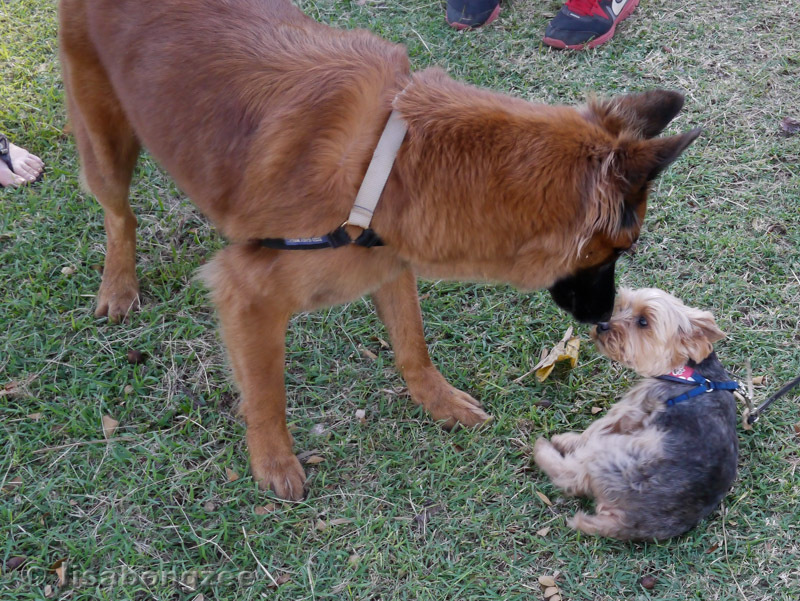 Brighton making friends at the Paint Out. 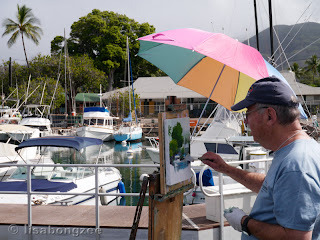 Betty Hay and George Allan both paint with palette knife, as I do, so I really enjoyed watching them the most! 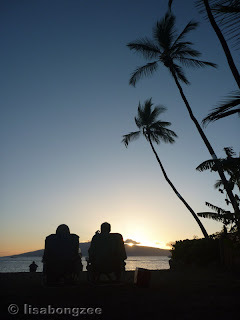 Another fabulous day comes to a close in Paradise! 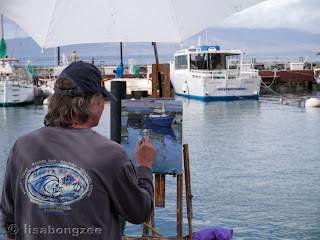 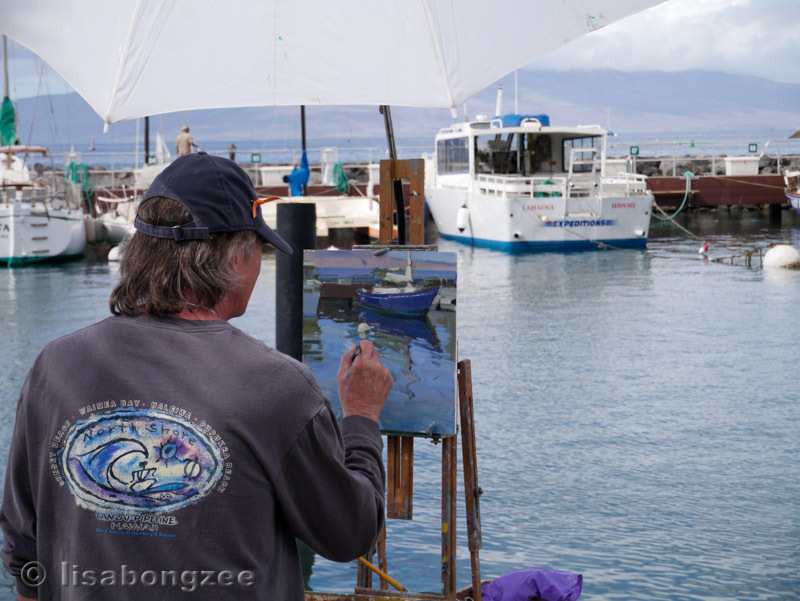 The last day of the week long Invitational wrapped up at Lahaina Harbor with a Quick Draw Paint Out in the morning. Artists were allowed only two hours to complete their final paintings. George Allan found a spot out on the breakwall with a nice view of the boats. Pierre found his own tropical scene. 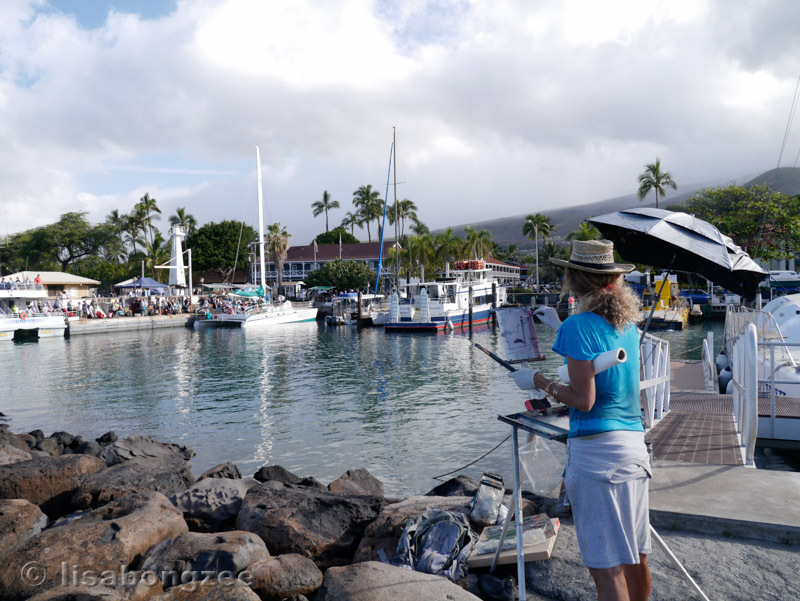 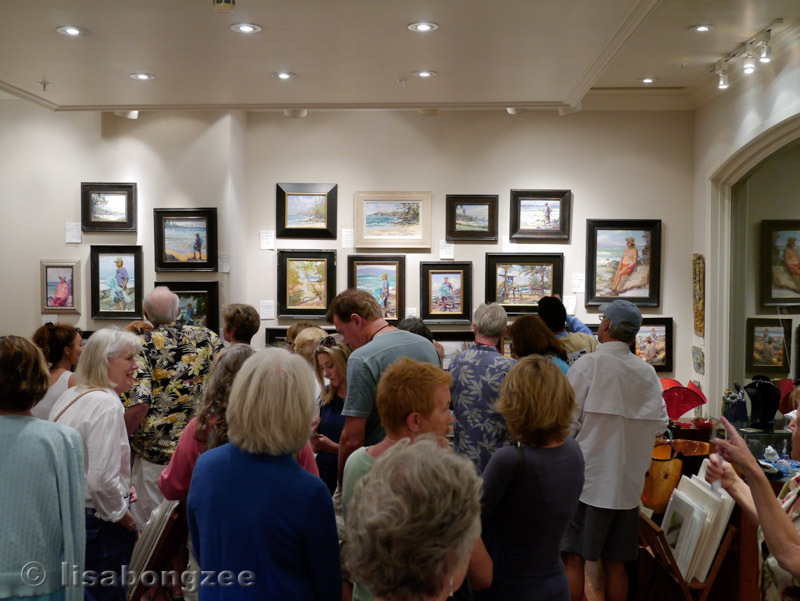 That evening, the paintings that were done throughout the week were all displayed in the Village Gallery in Lahaina. 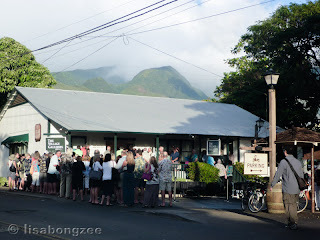 The place was JAM PACKED. 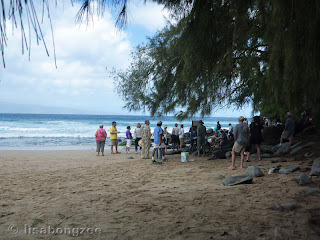 I can now say that I know how sardines in a tin can feel! It was all worth it though. 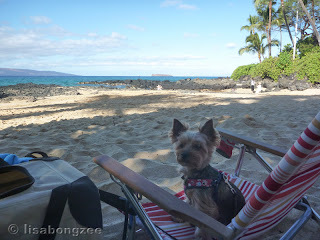 "Can we PLEASE stay a little longer on Maui"
We will be back again soon, little man, I promise!